A man with a van removals london company set up in 2016. In that time, we’ve created a business that’s wholesome, community-driven and aimed at offering simple solutions to complex problems. By simplifying the whole experience, we make that challenging move become an easy move in a matter of minutes. Working across areas such as Richmond, Kew, Twickenham and Barnes, we offer all manner of moves and home improvement services. From house movers to developers of a clear and easy to follow moving checklist, we can make what is often a frustrating experience become so much simpler. Modern Vans for Fast and Easy Relocation! Through our assistance, you can get all the help that you need to help turn a move around. From long distance movers to the ultimate handyman team, we make sure to cover just about everything that you can think of during the moving process. Fully insured and licensed to handle the moving process, we make your next move become the best move for your own needs. For the simplest moving experience in the shortest space of time, you can look to use our service to help make the whole process so much easier and simpler. A move does not have to be such a taxing issue: let us step in and deliver a stress-free solution, starting today. Household Moves. Use this service to help make the easy move you dreamt of come to fruition. Office Moves. Moving the business into a new office block? Then you might need help. Recommended by the Big Yellow Company. Surrey based self-storage company that operates in London and the South East of England. Looking for stress-free London removals? European Removals. If you need to have equipment removed and disposed of, we can help you to do that quickly, easily and within all regulations that you need to adhere to. Let’s make removals as easy as they should be! 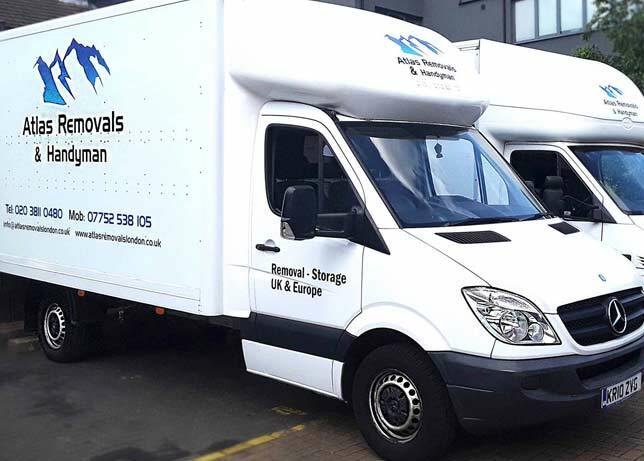 If you need help to keep some of your items and appliances stored until the time comes, or you need a man with a van, contact Atlas Removals London & Handyman today. Aside from being professional movers, we also provide atlas self storage as and when you need it.